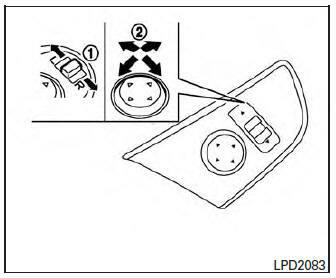 The outside mirror remote control will operate only when the ignition switch is in the ACC or ON position. Objects viewed in the outside mirror on the passenger side are closer than they appear. Be careful when moving to the right. Using only this mirror could cause an accident. Use the inside mirror or glance over your shoulder to properly judge distances to other objects. Some outside mirrors can be heated to defrost, defog, or de-ice for improved visibility. 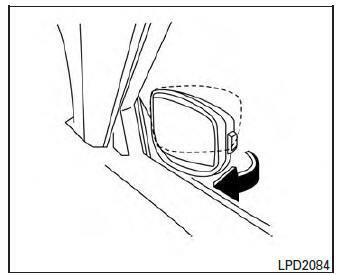 For additional information, refer to “Rear window and outside mirror (if so equipped) defroster switch” in the “Instruments and controls” section of this manual.